If your looking for a secure USB drive to keep your vital data safe. But are still a little concerned after the flaw revealed last week with encrypted drives. Then this new USB drive from MXI Security might be your solution. The new drive provide the strongest security currently in the industry with 1, 2 or 3 factor authentication and has digital identity and PKI Token services which include RSA SecurID and OATH OTP onboard key generation. The encryption is AES-256 CBC hardware of all onboard data. 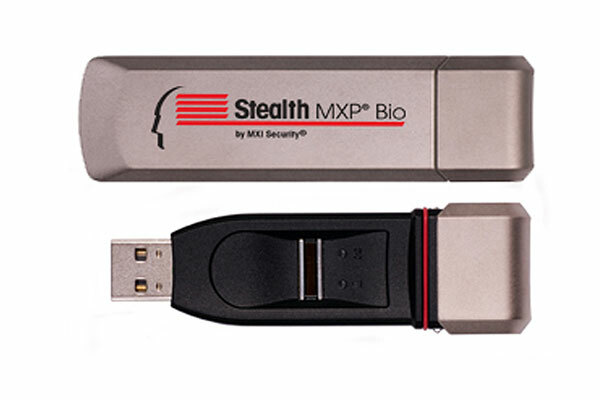 Stealth MXP Bio offers fingerprint recognition and strong multi-factor authentication in hardware, providing unparalleled security to both portable storage and digital identities. Powered by the Bluefly™ Processor, the Stealth MXP ® Bio features on-board hardware AES 256-bit encryption to automatically protect all its content, from data, to applications, to digital identities. Currently in process for FIPS 140-2 Level 3 validation, the Bluefly Processor provides unmatched hardware protection against malware in any environment, foreign or familiar.